Cool Splash & Hot Fun! Part of a collection of 2-story water slides that were the first of their kind, this Fire N’ Ice slide allows riders and thrill-seekers alike to choose which level they want to slide from. Either climb to the top of the first ladder and slide down, or the adventurous can continue another 3 ½ feet to the very top, and slide down the second slide. Perfect for cooling down and having fun on a hot, summer day. 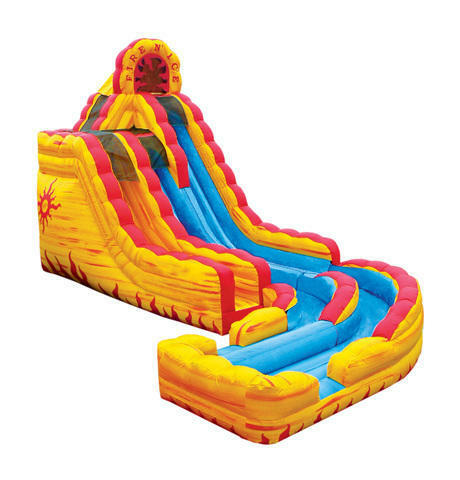 These water slides are great for girls and boys of all ages. 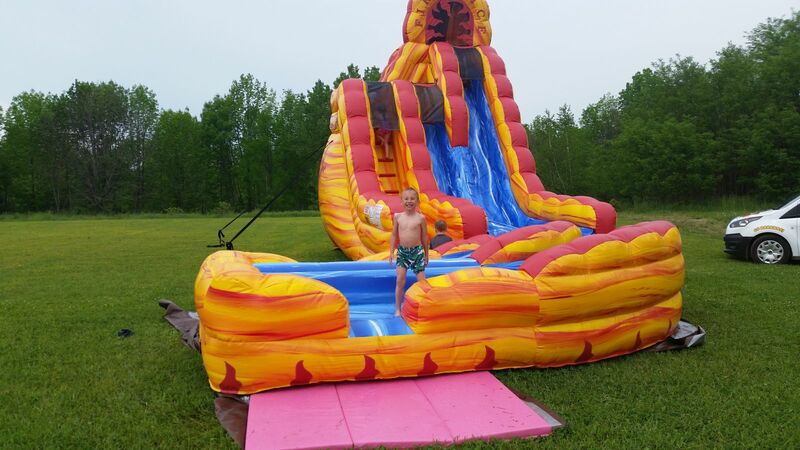 Must be 42'' or taller to ride this slide.This inflatable water slide rental is sure to be a hit a your next party and it is manufactured in the USA.